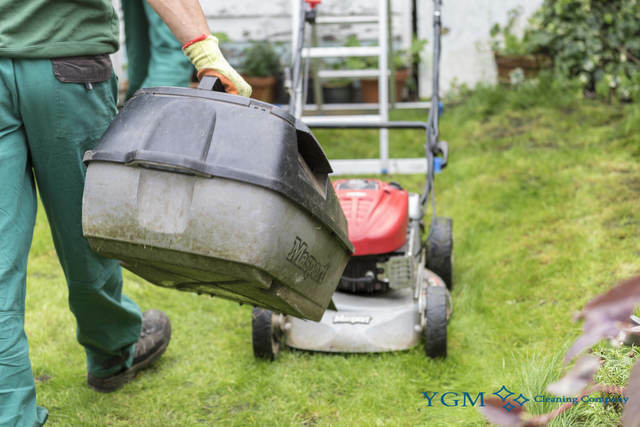 Prestbury SK9 Gardening & Tree Surgery | YGM Cleaning Company Ltd.
You could use some help with the lawn mowing and getting your backyard into very good condition just as before? Look no further! YGM Cleaning Company Ltd. is here to provide you with all necessary professional gardening services in Prestbury SK9 and outdoor maintenance help, which you may need. You can actually receive a quick and free offer for the gardening services you need, just by calling 0161 823 0323 or filling out the web contact form. In case you order one or more gardening service, like tree pruning for the trees, lawn mowing, patio jet washing and leaf clearance, for example, you will get amazing discount! You can request an onsite visit for a tenant or a landlord by a profession to create an exact estimation of the time and price for every services. Call up the 24 HOURS A DAY customer support line 0161 823 0323 or complete the online form to acquire price info as well as the conditions for getting discounts and preferential prices. You can request for an onsite visit by professional gardeners, in order that they can examine your outdoor area and give you the most proper advice on the suggested services, along with the cost estimate for these services. When it was 1st established, back in 2005, YGM Cleaning Company Ltd. started striving toward offering excellent, dependable and professional gardening services to residential and commercial customers in Prestbury and the area, and all this at very reasonable prices. Today, 10 years after, the company has established itself as the most highly recommended, liked and trusted suppliers of professional gardening services in the area. The actual key of this achievement is the trustworthy and skilled staff, as well as the modern gardening tools and products utilized. The professional gardeners can take away any leftover grass cuttings, leaves, small branches and some other dispose and patios waste of it for you. Actually, 120l of green waste are easy to remove free of charge. The tree surgery is done by especially trained and highly experienced tree surgeons. They can take care of trees and tree branches which are up to 65 feet high. The tree surgeons can securely clear away any dangerous branches, or any branches which are stopping the natural light or damaging the shape of the tree. YGM Cleaning Company Ltd. offers domestic and commercial gardening services in Prestbury, including: lawn mowing and maintenance, weed and ivy removal, tree surgery, overall cleaning up, leaf and other green waste clearance and removal, landscaping, garden design, planting, maintenance and advice for proper care and maintenance of the flora and the outdoor parts. Gardening can be a regular or one-off service. The company offers a wide range of garden maintenance services of the top quality aside from lawn mowing and care. A lot of them include: garden clearance, weeding, care for neglected gardens, ivy removal and other professional gardening services, which will help to make your garden far too excellent, and keep it simply perfect for longer. You may book your gardening service in Prestbury SK9 or group of services straight by calling the customer care at 0161 823 0323 or send an online booking web form here DAILY. When you are not sure about all the services or the hours you will need to book, you can request an onsite visit by the professional gardeners. They are going to come to assess and inspect the work volumes and to offer their professional advice and opinion, along with present you with the best price for the selected professional gardening services on the spot. In case you like the price, they could start work immediately. Other services we offer in Prestbury SK9 Oven Cleaning Prestbury, Carpet Cleaning Prestbury, Upholstery Cleaning Prestbury.